Our Products - Hundreds of items to choose from. We choose only the best brands for our customers! Our Donut Shop Coffee is currently one our best selling coffees. It's available in a Classic Blend, Dark Roast, Decaf, and a variety of different flavors like Cinnamon Coffee Cake. A delicious blend of 100% Arabica coffee beans at a medium roast. Oustandingly smooth, yet full-bodied with a complex finish. It may be an "Original" but it's certainly not boring. Folgers is our #1 best selling coffee! This coffee is available in variety of different packages including filter packs, vacuum packs, whole bean, and many more. Maxwell House® Coffee is always "Good to the Last Drop". The coffee experts at Maxwell House carefully select a distinctive blend of beans and masterfully roast them to unlock their unique, smooth flavor. Seattle's Best coffee is a great choice for offices that are looking for a full flavored coffee at a reasonable price. From a mild breakfast blend to a cinnabon flavored coffee, they are sure to put a smile on your face. Can you say affordable? White Bear coffee has a complete variety of coffee at a very reasonable price. Including Colombian, donut shop, french roast, Maui blend, and flavored coffee. Yuban is the only national coffee brand offering a full line of Rainforest Alliance Certified coffee. Yuban Original has a distinctive new look, but maintains the same great taste as always. Millstone is gourmet coffee that is ground from 100% Arabica coffee beans. This coffee is sure to please even the most choosy coffee drinkers. Gaviña is a California based coffee roaster that takes there jobs very seriously. They are passionate coffee roasters and just one taste, will make you a believer! They have a variety of different blends, weights, whole bean coffee, and even espresso. 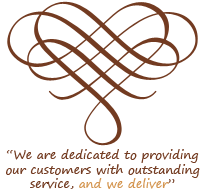 Royal Cup Coffee is a well-established coffee roaster that has been roasting premium coffee for over 100 years. Some of the more noteable restaurant chains that serve Royal Cup Coffee are Chick-Fil-A and IHOP. You can check one more thing off your to do list! Let us bring your favorite Starbucks blends straight to you. We offer a variety of Starbucks drip coffee from the Blonde breakfast blend to the ultra dark Caffé Verona. These pods are designed for single cup use. Café Classics offers a glarge variety of pods to satisfy each person's unique desire. Pod coffee is also a great way to save money and reduce waste. Pods are 100% Recyclable! This coffee is a wonderful compliment to any donut! Comes in a classic roast and a dark roast for those of you that like hair on your chest... And for you flavored coffee fans out there, we offer a variety pack called the "Bakers Dozen." Fancy name and absolutely delicious coffee! Don Francisco pods are rich, bold, and smooth as can be. This coffee originates from great beans and is roasted to perfection. Completely, capable of pleasing just about any one. Java One basically invented the coffee pod. They a large variety of regular, decaf, and flavored coffee. If you like a mild coffee they have a "Breakfast Blend" or they have "French Roast," if you like a strong robust coffee. White Bear pods are a great way to please a large amount of people without spending a fortune on single cup coffee. These pods weigh 11 grams each compared to 9 grams and cost half as much as the leading competitor. A famous "must have" in just about any office. Bigelow tea comes in just about any flavor you can think of and we carry them all! Click the link below and find your favorite Bigelow tea. A classic when it come to iced or hot tea, Lipton has a unique flavor that just about all of us can pick up. We have Lipton Brand tea bags for single serve tea and for 1 and 3 gallon sizes available. You don't have to go very far in Texas, before you realize that iced tea is served pretty much all over. Our tea comes in a variety of different weights and is avilable pre-packed in filters. There are also flavors available like peach, mango, and raspberry. Let us bring your favorite blends of Tazo brand tea to your work place. We carry a large variety of Tazo Tea, including the Zen Green Tea if you want to mellow out or you could try the Awake Black Tea if you need a little kick in the behind! The worlds best selling non-dairy creamer just keeps getting better and better. Coffee-Mate brand creamer is a must have in most breakrooms and they come in single-serve liquid flavors like French Vanilla, Hazelnut, and Irish Cream. N'Joy brand creamer is a non-dairy product that has a lot of people faked out for sure. This creamer is rich, full of body, and a wonderful compliment to any cup of Joe. N'Joy creamer comes in a 16oz canister compared to the competitor's 12oz canister. For those of you that like a little more Vitamin D in your diet. Mini-Moo single serving cups are great alternative to stocking milk and cream, and they don't require refrigeration. N'joy brand sugar is 100% Pure Cane Sugar. N'Joy brand sugar is one of the more durable on the market and rarely tends to clump together like other brands. N'Joy brand sugar comes in a 22oz canister compared to competitors 20oz. Imperial brand sugar is a local favorite and tends to be stocked at most grocery stores. Imperial Sugars headquarters is based in Sugar Land, Texas and we can tell you that it is some of the best sugar on the market. Equal Original Packets are perfect for coffee, iced tea, and other drinks. Each zero-calorie packet quickly dissolves in hot or cold drinks, and sweetens like two teaspoons of sugar. Splenda is a low calorie sweetener that taste very similar to sugar with less calories. Since it's arrival in the late 90's Splenda has quickly replaced most other artificial sweeteners. Sweet'N Low® Brand sugar substitute was introduced in the United States over fifty years ago and is still served at most places that sell or provide refreshments. This product is available in 100, 400, and 1500 count packages. Truvia® Brand sweetener is an all-natural sweetener that comes from the leaves of the Stevia plant. We offer Truvia® in a 400 count dispenser box. Butter-Nut® Brand Hot Cocoa Mix is the most popular single serving hot cocoa on the market. It has a rich flavor and creamy even when mixed with hot water. Kayo Hot Chocolate is a great tasting, rich, and creamy hot chocolate mix. Our Kayo Hot Cocoa Mix comes in 2lb. bags and is meant for use in cappuccino machines. With over 100 years of making chocolatey memories, the chocolate experts at Nestlé bring you a rich, creamy, chocolatey mug of hot cocoa with every packet. Swiss-Miss® Hot Cocoa Mix is a rich, creamy hot cocoa made with milk from local farmers and premium imported cocoa. Swiss Miss is available in milk chocolate, marshmallow, and sugar-free. Douwe Egberts instant cappuccino mix is the same cappuccino that is sold to convenience stores worldwide for use in their cappuccino machines. Frothy, sweet, and creamy cappuccino drink with lots of flavor and aroma. We partner with the Monticello Spring Water Company to bring you delicious and refreshing 3 and 5 gallon bottled water. We offer drinking water, Arkansas spring water, and distilled water. Aquafina® Brand Water uses the state-of-the-art HydRO-7™ purification system removes substances most other bottled waters leave in, so you get pure water and perfect taste every time. Dasani® starts with the local water supply, which is then filtered by reverse osmosis to remove impurities. The purified water is then enhanced with a special blend of minerals for the pure, crisp, fresh taste that’s delightfully DASANI. Nestlé® Pure Life® Purified Water is enhanced with minerals for a great taste and is sealed in recyclable plastic containers for shipment throughout the United States. Nestlé also offers a variety pack of flavored water. Ozarka® Brand spring water is one of the best selling bottled water in the south central area of the United States. Ozarka is sourced from local springs throughout Texas. VitaminWater® Enhanced Drinking Water is bottled water with added vitamins, minerals, and great flavor options. We carry all of the different flavors as well as VitaminWater® Zero. Coca-Cola® products are sold world wide and offered in hundreds of different beverages. We buy direct from Coca-Cola® and offer many of their products in our vending machines and we deliver to offices. Dr. Pepper® is a one of a kind soft drink that is made up of 23 different flavors and deeply rooted in Texas culture. We buy direct from Dr. Pepper® and offer most of their products. Pepsi® Cola is a unique beverage that has been around since the early 1900's. We offer a good variety of Pepsi® products available for delivery to your office. Campbell's® isn't just famous for their soup, they also offer healthy juice options like V8® and tomato juice. If you're not running on all "8," then you should try a case of V8® today! Minute Maid® Juice taste great and comes in a variety of different options and sizes. Minute Maid juices can be stocked in a vending machine and delivered to your office. Shamrock Farms® Milk is a dairy product that is available in Whole Milk, 2% Milk, and Chocolate Milk. This products is available for vending machines and delivery. Welch's® Juice is a national family favorite and utilizes farmers in the US and Canada. We offer a large selection of Welch's Juices and non-carbonate beverages, that are available for delivery. Frito Lay® is one of the largest snack producers in the world with items like Doritos® Tortilla Chips and Lays® Potato Chips. We offer most Frito Lay products, that are available in our vending and for delivery to offices. Who doesn't like chocolate? Hershey's has been making delicious chocolates for years and has quite a variety of products. We offer Hershey's products in our vending machines and by the box for delivery to offices. Kellogg's® doesn't just make great cereal, they also make Pop-Tarts®, Rice-Krispies® Treats, and Nutri-Grain® Bars. We have a great selection of Kellogg's products for our vending machines and for delivery to offices. Mr. Nature selects only the finest ingredients to provide customers with mixes that include premium nuts and the most flavorful fruits. We have Mr. Nature Trail Mix available for our vending machines and delivery to offices. Mrs. Freshley's® has a large selection of fresh, tasty snack cakes. We carry most of their products and order them only when needed for guaranteed freshness! These items are available in our vending machines and for delivery to offices. Nature Valley® Granola Bars are a great way to give your body a healthy boost any time of the day. We carry a variety of different flavors, that are available in our vending machines or delivery to offices. Planter's® is the largest nut company in the world and provides superior quality. We offer many different types of Planter's nuts and trail mixes in our vending machines and for delivery to offices. Bounty two-ply paper towels are perfect for taking care of those accidental spills in the office. This is a great choice for when you want to stock up on paper towels for the office. Dart provides high quality food service packaging solutions and exceptionally reliable service. Dart produces a full line of foam and plastic containers, including cups and lids, plates, platters, bowls and disposable flatware. Georgia-Pacific is one of the world's leading manufacturers and marketers of tissue, packaging, paper, pulp, building products and related chemicals. Some of their popular leading brands are Dixie®, PerfecTouch®, Quilted Northern®, and Brawny®. Kimberly Clark is a leading manufacturer of paper products, that has a strong emphasis on making sustainable products and using recycled materials. We offer Kimberly Clark brands such as Scott® and Kleenex®. Kleenex facial tissue is a must have during Cold/Flu Season. Kleenex facial tissue is available in boutique packaging, with lotion for dry sensative skin, and it even comes with Aloe Vera. Cascade is the #1 recommended dishwashing detergent in North America for automatic dishwashers. We offer the original Cascade Complete Powder and individual ActionPacs. Clorox is the original producer of bleach and has many other complimentary cleaning products. Try Clorox Clean-Up for general everyday spills and messes. Comet Powder with bleach disinfects while you clean. Use Comet Disinfectant Cleanser for many tough cleaning problems around the office such as sinks and toilets. Dawn dishwashing soap is a leading brand and is completely safe to use on skin. We offer small individual sizes and large bulk containers. Fabuloso is a multi-purpose cleaner, cleans and leaves a long lasting fresh lavender scent. Leaves no residue behind, so there is no need to rinse. Lysol kills 99.9% of viruses and bacteria, when used as directed, on commonly touched, hard, non-porous surfaces. We carry Lysol products like disinfectant spray, bathroom cleanser, and toilet bowl cleaner. Pine-Sol All-purpose cleaner is for kitchens, bathrooms, appliances and other tough jobs. This product cuts grease, deodorizes, and shines. Available in Lemon Fresh scent. Formula 409 is a powerful all-purpose cleaner that breaks down grease and cleans pretty much any surface. We offer 409 in individual spray bottles and also in large refill containers.